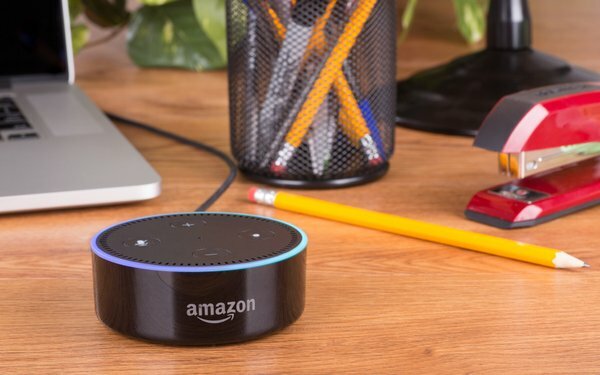 The desire for voice-activated technology may be extending from consumers using smart speakers at home to people wanting to use similar technology at work, based on a new study. The majority (63%) of employees consider using voice input for computers and smartphones to be potentially most helpful in taking on everyday work problems. Second choice by a majority (61%) was a smartphone with a flexible screen that can be folded or expanded, according to the study, comprising a survey of 2,400 knowledge workers, broadly defined as employees who use a non-shared PC every day for work, conducted by GfK. The top job-related challenges were managing passwords (60%), organizing a total life schedule of personal and work commitments (59%) and sifting through and prioritizing emails daily (53%). Parents with children under 18 in the home were found by GfK to be more open to technology-oriented solutions compared to those without children.